Victoria’s incumbent Labor government has released the details of the controversial Belt and Road Initiative agreement it signed with the Chinese government last month. The four-page document was made available online late Nov. 11. 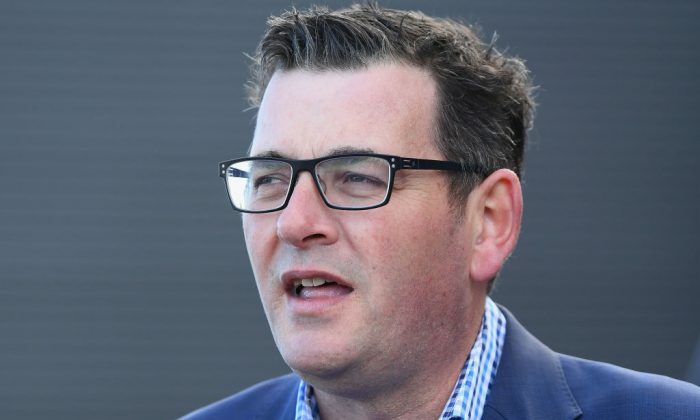 The disclosure by Premier Daniel Andrews’ office came after voices from both sides of politics at the state level and the Prime Minister mounted significant pressure on the Premier to publicise exactly what he had signed with a foreign government last month. Andrews first announcement the “historic” agreement on Oct. 25 through a press release on the state government’s website, although the contents of the agreement were said to be confidential. Morrison told 2GB radio on Nov. 7 he was “surprised” that Andrews had given the agreement the green light without first consulting with the Commonwealth government. Morrison said that China’s Belt and Road Initiative (BRI)—a trillion-dollar infrastructure project that seeks to increase investment and trade links between China and the world—was a “matter of international relations,” adding that without appropriate assessment, it could run the risk of undermining the Coalition government’s foreign policy. “We’ve always had a very consistent position on this [BRI] and always been clear about it,” Morrison said. Michael Shoebridge, Director of the Defence and Strategy Program at ASPI, wrote on Nov. 6, that the federal government had been wary of signing up to the BRI without clarification from Beijing on two important issues: what the Chinese state’s motives are in advancing the BRI; and how the multitude of individual projects are planned, selected, funded, and implemented. However, some state governments and the federal opposition do not share the Coalition’s conservative policy regarding China’s BRI. Luke Foley, the recently resigned NSW Labor leader, said in September 2017 that not joining the BRI was like signing “an economic suicide note” for NSW and Australia, Fairfax reported. Michael Gunner, Labor’s Chief Minister of the Northern Territory, expressed his openness to participating in China’s BRI after visiting Shenzhen in August, according to Fairfax. So far, 68 countries, including New Zealand, have signed up to the BRI, although the Ardern Labor government said it was considering withdrawing earlier this year, SBS reported. China’s BRI projects have been facing a backlash in many countries, including Sierra Leone, Pakistan, Sri Lanka, and Vietnam, where locals are accusing the initiative of being a platform to serve the ruling Chinese Communist Party’s interests through debt-trap diplomacy. In January, former Minister for International Development and the Pacific, Concetta Fierravanti-Wells, accused China of constructing “useless buildings” and “roads to nowhere” while leaving Pacific island countries unreasonably indebted, The Australian reported. Last week, Andrews stood firm and resisted repeated calls to make the MoU public. He cited a similar confidential MoU that was signed by the Turnbull government in September 2017. The 2017 MoU agreed to cooperate with China to build infrastructure in third-party countries, including BRI projects; Australia did not sign up to any projects inside its borders. At the request of the Chinese government, that MoU was also not made public. Andrews moved to release the MoU on Nov. 9, following pressure from the Prime Minister and Victorian Opposition Leader Matthew Guy to make the agreement public before the Nov. 24 state elections, The Australian reported. According to the newly released MoU, the Victorian Labor government has effectively signaled to China that Victoria is open to “policy cooperation,” “unimpeded trade,” and efforts to “promote Digital Silkroad Cooperation” as part of the communist one-party state’s flagship infrastructure project. Victoria’s Shadow Treasurer Michael O’Brien has said he is very concerned about the agreement which is likely to have far-reaching impacts, news.com.au reported. “What does that mean for Victorian businesses to have unimpeded trade with China? Simply means a lot of Victorian businesses will be put under massive pressure,” he said. “As it always does, the government will consider both Victoria’s and the national interest before agreeing to be involved in any specific activity,” it said in a statement. The previously confidential document also revealed that Andrews had signed the MoU on Oct. 8, well before his public announcement about the agreement on Oct. 25. At Risk of Foreign Interests? The Australian reported on Nov. 8 that Andrew’s media advisor had links to the Chinese Communist Party’s United Front Work Department—a department focused on coordinating the Chinese Communist Party’s political influence operations overseas. The consultant works for the Shenzhen Association of Australia, which is part of a network of organisations in Australia that is guided by the United Front Work Department. A senior Communist Party official, Ma Yongzhi, the vice-minister of the United Front Work Department of Shenzhen, opened the Shenzhen Association of Australia in November 2016, according to another report. According to a June Fairfax survey, 59 percent of responders said they believe that Australia should avoid supporting China’s BRI.